August marks the anniversary of Education Naturally and the introduction of Marcy’s Outdoor Classroom vision. Many families have donated generously to launch this venture with the purchase of materials for benches. Volunteers have generously given their time to stain benches and help during various workdays. Thank you for all of your support in helping to launch the Outdoor Classrooms. Left: Butterfly Garden Outdoor Classroom – 90% complete; Right: Rain Garden Outdoor Classroom – underway. Please watch for upcoming work days in September where the Rain Classroom walkways will be completed. Volunteer Leaders needed for Marcy’s Outdoor Classrooms! The Outdoor Classrooms need your continued support. We are looking for additional team leaders to help with various roles. 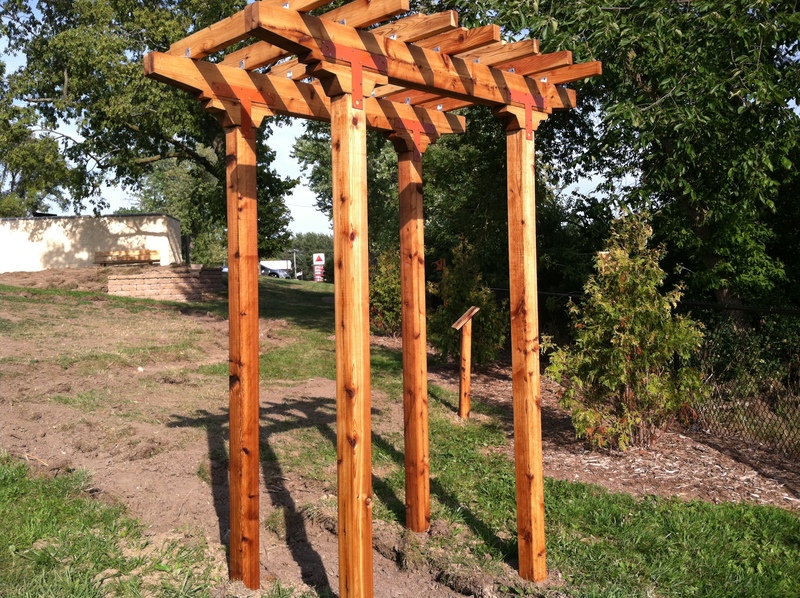 View the Outdoor Classroom needs and fill out the online form to get involved. Greenview Landscaping Labor and heavy equipment to build the retaining wall, dig paths in the Rain Garden, and remove sod in the Butterfly Garden. Greenview also donated trees, mulch and paving stones, in addition to the time and talents of Greenview owner Tom Mayer. Halquist Stone Tons of traffic bond and crushed granite to pave the paths in the rain garden. Education Naturally is Marcy’s outdoor classroom initiative. Last year, two outdoor classroom spaces were created: a butterfly garden in the front of the building, and a rain garden and larger interactive space along Lisbon Road. The classrooms are designed for year round use. 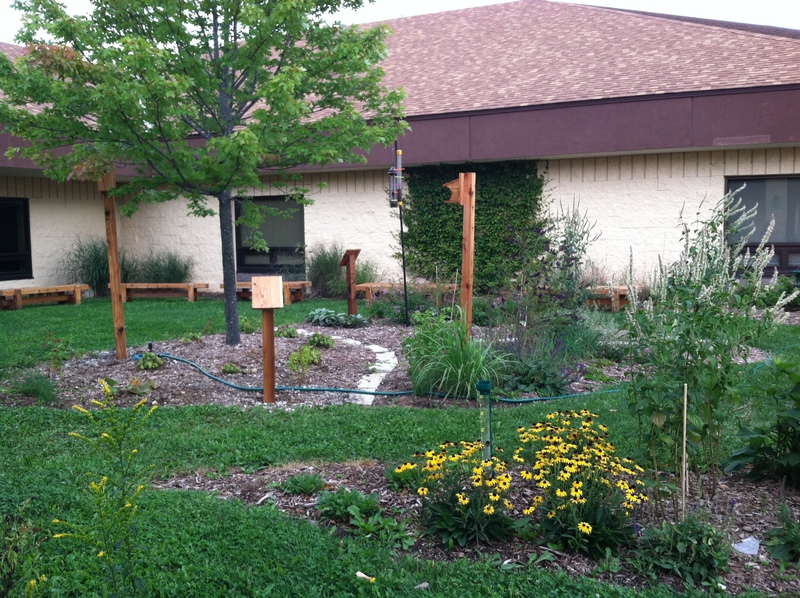 Each classroom has custom made, moveable cedar benches and contain native Wisconsin plants and trees. These pictures show what the spaces looked like in the fall of 2011, before Education Naturally began. Why build an outdoor classroom? An outdoor classroom will allow children to expand their learning past the walls of our school and to transform information and knowledge into experiences and skills in the real world. It will be a chance for children to explore their natural surroundings and begin generating new ideas and inquiries. It is like having a fieldtrip right on our own campus! These spaces can be used for inquiry based learning, create environmental stewardship, address different learning styles children have, weave content areas together, or just an outside area used for quiet reflection. The possibilities are endless! What can be taught in an outdoor classroom? Everything! At first glance, science seems to be the most obvious subject to take outdoors; after all, the children can find insects, learn about weather patterns, and examine plants. But in truth, every subject can be taught outdoors. Children can find natural textures, patterns and compositions for art class; they can write poetry or fiction about what they see in the natural world. Nature is filled with shapes and angles that lend themselves to math lessons—the examples are endless. No matter the season or the subject, the natural world is a natural part of education. Who is coordinating this project? The idea for the outdoor classroom began with Mrs. Tricia Mayer, one of Marcy’s first grade teachers. Helping Mrs. Mayer get the project started is Cary Suneja, parent of two current Marcy students. There will be opportunities for more parent involvement as the project progresses. Who will maintain the outdoor classroom? Part of the project will be to launch a PTA committee to oversee maintenance of the outdoor classroom. Keeping the spaces maintained is key to making sure they are well used in the future. The PTA will take over this critical responsibility. When will the teachers and students be able to begin using the outdoor classrooms? The butterfly garden space (at the front of the school building) will have benches by the first day of school, and the space can be used right away. Depending on fundraising and the availability of materials and labor, a pathway may also be installed early in the school year. Benches will be in the rain garden space by the end of September, making that space usable as well. 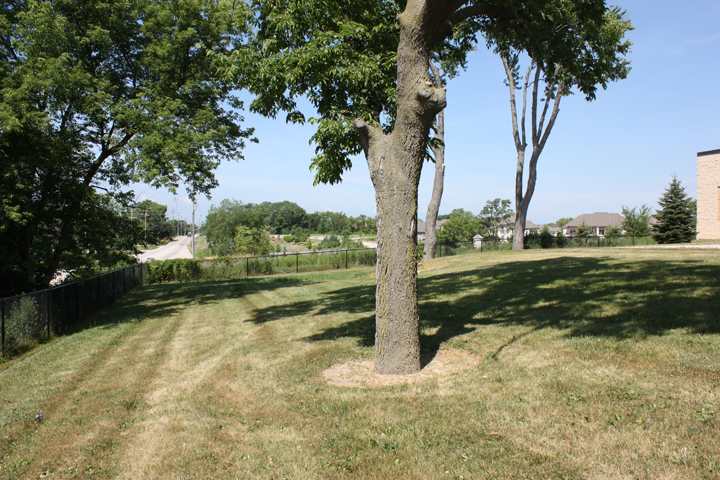 However, the bulk of the construction and landscaping in this area will wait until spring of 2012, after the children have had a chance to offer their ideas and after grants have been awarded and funds raised. How will the children be involved? The landscape design created by Brian Thomas at Johnson’s Nursery is a plan to give the project vision—to take ideas out of our heads and to put them on paper for all to see. During the school year Marcy students will have opportunities to expand on the design and add their own ideas…bird houses and feeders, a weather station, or certain types of plants. The possibilities are endless! Mr. Thomas will then use the input gathered from the children to produce the finished designs for use next spring. There are many ways families can get involved. First, donating money for benches and other materials is important to this project. Maybe your employer will match the funds or just wants to be a part of this project. Please let us know if your employer would like to make a donation. Second, there will be “family work days” scheduled to complete elements of the classroom. For example, the first family work day will be in September to stain and seal the benches for the butterfly garden. 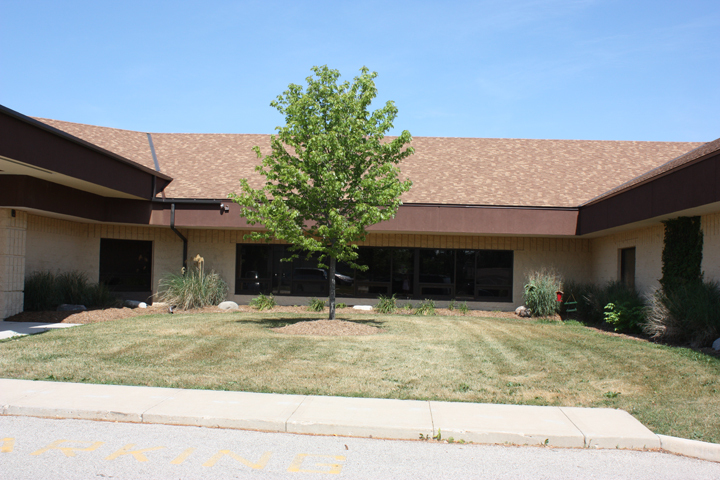 We’ll plan work days to plant flowers, shrubs and trees in the butterfly garden as well. Next spring, there will be more work days to install the rain garden and other elements of the larger space along Lisbon Road. How can I stay informed about Education Naturally? We’ll post pictures, plans and great ideas from the kids on this webpage, so check back often. Also, look for project updates throughout the year.